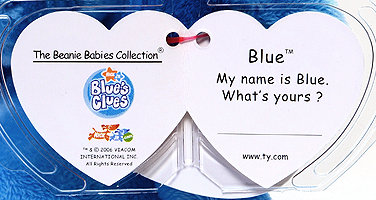 Special category: Licensed, Nick Jr. 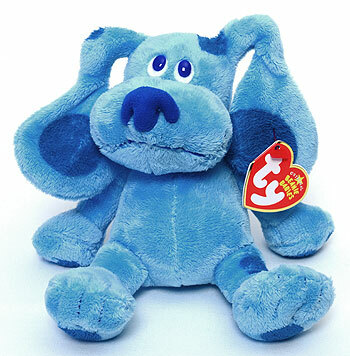 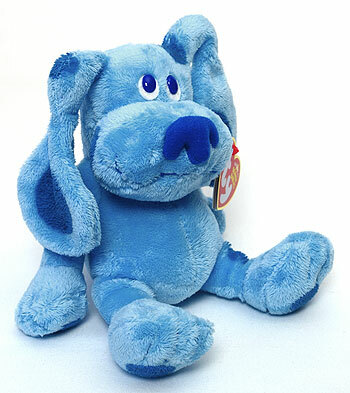 The star of Blue's Clues, Blue is a girl puppy (the star of Blue's Clues) who communicates to Steve and Joe through barks, which they understand. 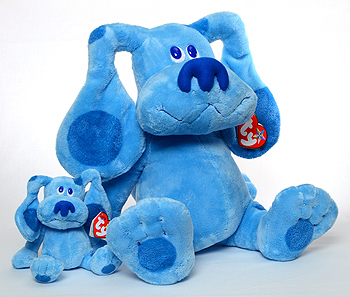 Beanie Baby Blue with her large Buddy cousin.